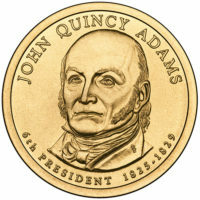 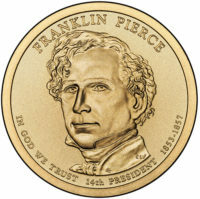 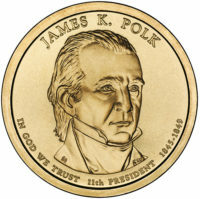 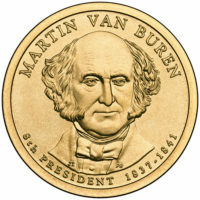 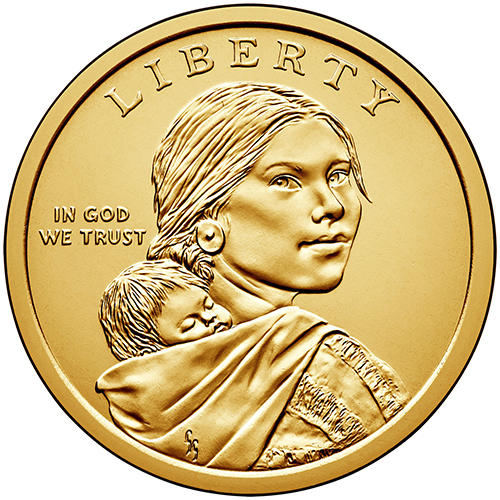 Design retains the central figure of the Sacagawea design first produced in 2000 with the inscriptions LIBERTY and IN GOD WE TRUST. 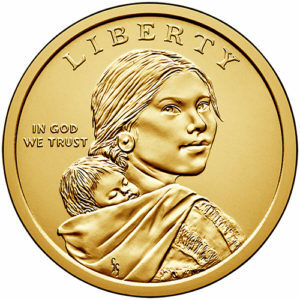 Sacagawea was a Lemhi Shoshone woman who accompanied the Lewis and Clark Expedition as an interpreter and guide during their exploration of the Western United States. 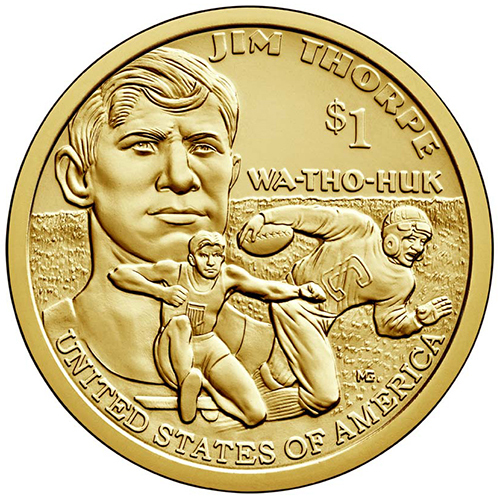 The reverse theme commemorates the contributions of Jim Thorpe to American sports and culture. 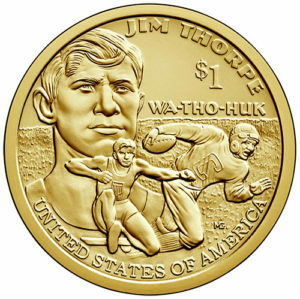 UNITED STATES OF AMERICA, and $1.